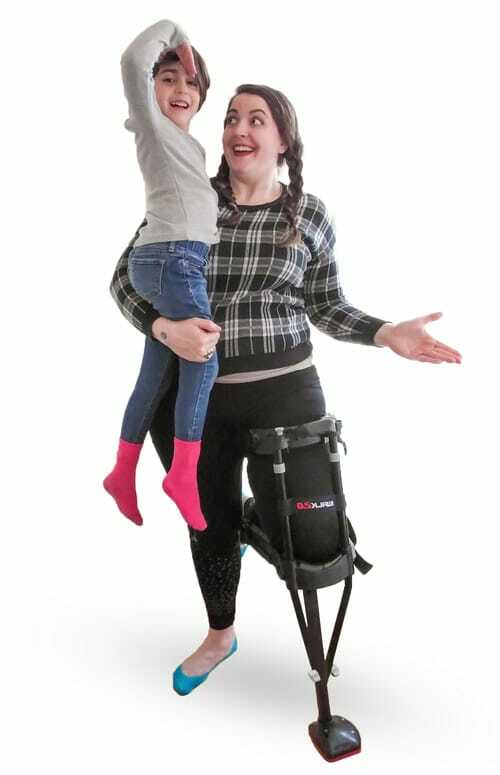 The New Standard in Mobility Devices – The pain and limitations of crutches and knee scooters are well known. Finally there is a better alternative – the iWALK2.0 Hands Free Crutch. It’s safer, increases patient well-being, reduces recovery time, and allows your patient to maintain a functional lifestyle during their non-weight bearing period. 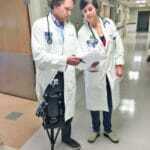 iWALK2.0 is the new standard of care for lower leg injuries. Everyday activities are impossible on traditional crutches or knee scooters. With iWALK2.0 you can immediately get back to your routine. So whether you’re pushing a shopping cart, going up or down stairs, carrying a cup of coffee, walking the dog, the iWALK2.0 gives you your life back. Improve your quality of care by giving your patient a functional, pain-free, hands-free recovery. 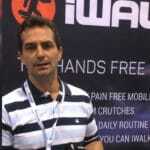 Watch videos of iWALK2.0 first time users here. “Crutches hurt! The knee scooter gave me limited mobility. 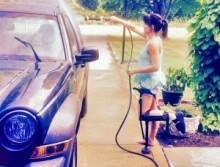 After getting the iWALK2.0 I can do just about everything I normally do! 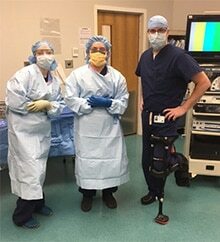 iWALK2.0 is clinically proven to reduce your patient’s recovery time. Also, your patient will prefer the iWALK2.0 to other mobility devices because they can lead a functional lifestyle during their recovery. 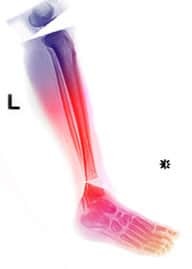 Increased activity promotes a reduction in muscle atrophy for both the injured and non-injured leg, and increased compliance can reduce secondary injuries. Learn more about iWALK2.0 design features here. iWALK2.0 is inexpensive and affordable. It enables people to get back to work during their recovery period and prevents their injury from impacting their income. Better by design, the iWALK2.0 is functional, strong, easy to use and easy to adjust. It can be tailored to your patient’s leg type, which allows it to mimic their specific leg geometry. This provides natural balance which is familiar to your patient. Unlike other mobility devices, iWALK2.0 has a long history of injury-free performance. Almost any lower leg injury is indicated for use with iWALK2.0. 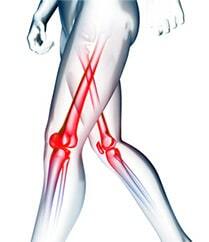 Diabetic ulcers where proprioception issues adversely affect balance or any other knee or above upper leg injury. “Dr. 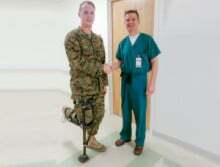 Erik Brink, LCDR US Navy is an orthopedic surgeon based in Naples Italy. 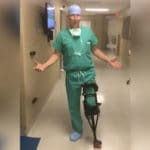 He used the iWALK2.0 to get back in the operating room. “I will definitely recommend it to my trauma patients and encourage orthopedics to keep stock of the iWALK2.0 in their department”. Clinical research supports that iWALK2.0 is safe, effective and ushers in a new standard for recovery of non-weight bearing lower leg injuries. 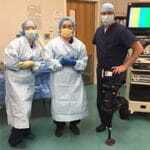 “I’m five weeks post-op with a tibial plateau fracture. Today I’m doing a rotator cuff repair, total joint replacement and a clavicle fracture. I’m back in the operating room, hands free!”. 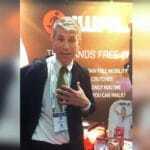 "I‘m going use it for myself because of my stress fracture in my heel but I’m excited the opportunity to use it for my patients, especially my non-compliant athletes who have foot and ankle stress fractures and post-ankle surgery. 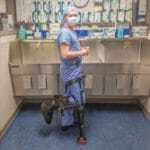 I really think it’s going to cut down on the morbidity of crutch use or walker use. It’s truly hard for patients to be compliant when they have to carry around a device that’s so restrictive that they can’t use their hands or take care of their kids or hold their bags or purse or such". See what other doctors are saying here.